As many of you know, I've been working toward expanding the sustainable cotton sweater knit collection. I'm happy to announce that the color-grown jerseys and plaid now have matching color-grown 2x2 ribbing available! It's sold by the half yard. 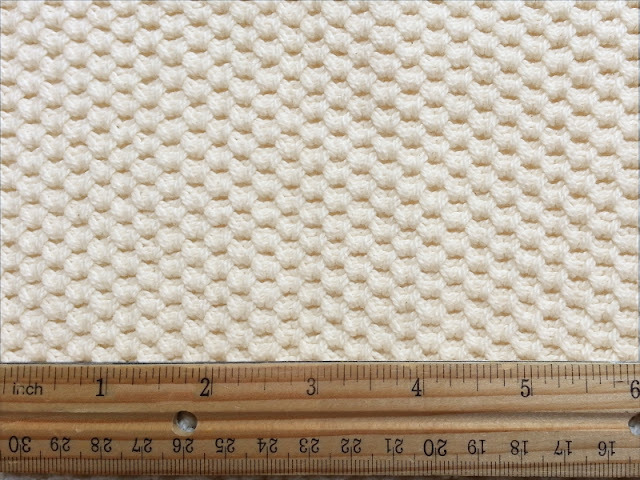 The sustainable, natural white cotton ribbing, formerly available only as panels, is also available by the half yard now. 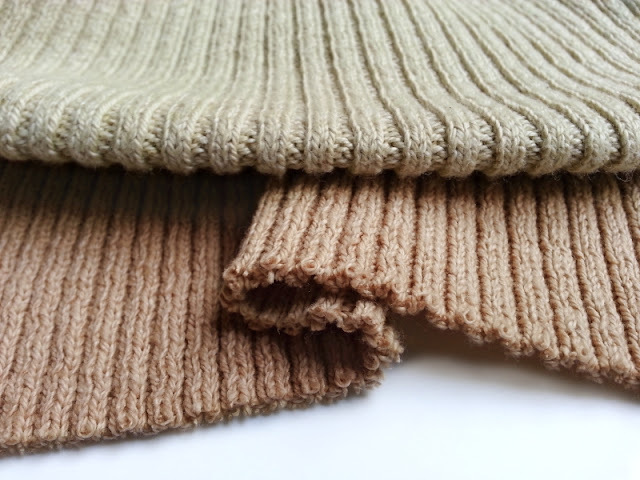 The 2x2 rib will give a lovely finish to your natural and grown in color cotton sweaters. If you haven't read it yet, please check out the Ginger Makes Grainline Linden Sweatshirt sewn with the O! Jolly! New Hudson and matching 2x2 rib. Also new to the shop is a chunky, sweater knit in traditional honeycomb stitch (sold out). I didn't develop this fabric; it's an overrun from the knitting mill I've been working with. It was knit with conventional cotton yarn that was not dyed or mercerized. Though I've chosen to seek out sustainable yarns to work with whenever possible, I also believe that unused post-production sweater fabric, no matter what it's source, shouldn't be destined for the landfill. This fabric is reclaimed and wonderful! Any machine knitters seeing this pic may recognize the stitch pattern as an alternating double tuck. Translation for non-machine knitters: This is a very wide fabric -- 80 inches. THE OFFER BELOW HAS EXPIRED. So what better way to celebrate the new fabrics in the shop than with a special discount for readers, customers, friends in real life, and social media friends. 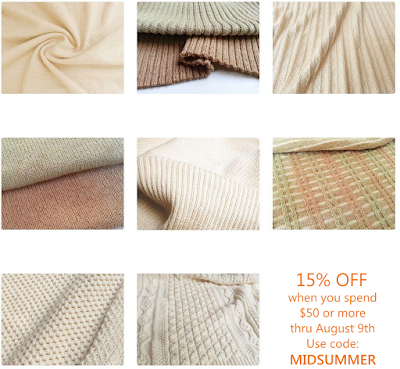 Get 15% off when you spend $50 or more on Ready to Ship sweater knit fabrics in the O! Jolly! Crafting Fashion Shop and use the code MIDSUMMER at checkout. The discount is valid through August 9th, 2015. To get discounts and other goodies delivered directly to your email inbox, be sure you're on the list. So hard to believe I'm saying this on a day when temperatures reached 94ºF here in New York City, but it won't be long before I'll have warm wool sweater knits in the shop. More about those another day!